A discussion at the RSA last week, ‘Making Local the Answer‘, confirmed for me something I have suspected for some time. It is the political class not the masses that are obsessed with devolving and decentralising as much as they possibly can. There is no popular movement threatening to storm Westminster or Whitehall. New Labour may be on its way out, but we are not likely to see the toppling of the mismanaging managerialists in favour of a new democratic politics any time soon. The discussion also confirmed another suspicion of mine. The powers that be are in denial about their power and the duties that come with it. While their desire to hand over the reins might be genuine it is also rather worrying. They seem ever more anxious to involve us in this and encourage us to participate in that, but seem to have little idea themselves what can be done to address the crisis we and they find ourselves in. However much they like to see themselves as everyday folk just doing the right thing, it must have occurred to them by now that the general public couldn’t be more indifferent. Speaking as a democrat and as somebody who works in local government, I nevertheless find myself at odds with what on the face of it is unobjectionable. Who could object to people ‘having their say’ or ‘taking control’? But why would the government want to hand over ‘power, leadership and accountability’, as John Denham, Communities and Local Government secretary put it, in the first place. For all that I supported his commitment to greater accountability and stronger local government, calling ‘unelected bureacrats’ to account, and expanding the remit of local scrutiny to the police, health and other public bodies – I couldn’t help but wonder what the government itself is going to do. Unfortunately I didn’t get the opportunity to ask him. Ours may not be the most popular government in living memory but nonetheless it has a mandate of sorts. Which makes its eagerness to divest itself of the responsibilities that come with the assuming of office thoroughly anti-democratic in my view. By arguing for transferring matters of national and political concern – such as education, policing and health – to ‘the people’ he was, pardoxically, denying us the opportunity to interrogate our representatives more fully. Yes, we need to move away from our stifling target culture, and find new ways to innovate and improve public services from the bottom-up, but we must also hold to account those who are ultimately responsible for governing public affairs. (They might not like to admit it but with the right to office comes the responsibility to govern.) We are not only living in testing times as the economy goes belly up, and we are also living through a period of great uncertainty. Our political leaders used to take their responsibilities much more seriously, and would relish the opportunity to demonstrate their capacity to come up with solutions to the big problems of the day. Sixty years ago the post-war Labour Government, riding on a wave of optimism following the defeat of fascism, was set on transforming society with the creation of the welfare state. It may not demand the kind of respect it once did, but it was a remarkable achievement nonetheless – nationalising the provision of housing, health, social security and education. Such an ambitious political project was only made possible because there was a sense of purpose and direction at the top of society, and a popular mandate to get things done. Sadly, things couldn’t be more different today, and this is what lies behind ourleaders’ embrace of localism. Where there was once leadership, there is evasive politicking. The importance of strengthening local democracy, and engaging communities, can’t be ignored. But neither can the collapse of political conviction and democratic legitimacy which has given rise to the rhetoric that claims to champion it. There is growing concern about the impact of the economic crisis on spending on children’s services. Les Lawrence, the chair of the Local Government Association’s children and young people board, urged those at the Association of Directors of Children’s Services Conference last week to “double plan”. He was referring to the uncertain outcome of the next election, but delegates may have had other things in mind. For ex-social workers in the audience who oversee care planning decisions this may mean: to accommodate a child, with the prospect of a disrupted life rattling around our dismal care system; or to put together a support package that just might go some way toward stabilising a precarious existence living in their own impoverished and chaotic family. For the ex-teacher directors of children’s services the “double plan” concept may have brought to mind the constant oscillating between their dual roles of attending to children’s welfare (otherwise known as social work) and giving them a half-decent education. In these impossible circumstances, Lawrence’s call for “disinvesting” in those services that fail to meet “specific outcomes and a quantitative benefit” may sound like just the kind of thing that’s needed. But it could as easily mean more of the same . . . just less. While it is more important now than ever that local authorities – and indeed the government – are held to account about “what works”, without a firmer basis on which to build the ethos of our schools and social services, it is hard to tell what criteria should be adopted in any public spending audit on services for children. The pressure keeps mounting both on families and on the services that should be meeting their needs. The children’s secretary, Ed Balls, has already sent schools to the naughty step for adding to the misery of parents struggling to find the money to pay for pocket money, school meals, travel costs, school trips and holidays, with the expense of school uniforms. And times are indeed hard. The authors of Barnardo’s From Crunch To Crisis: Winter Hardship For Families In The UK report, warn of the effects of unemployment and circling loan sharks as the poorest families descend into a “constant cycle of deprivation”. One in three 10 to 11-year-olds say they worry about the credit crunch, according to a survey commissioned by Sainsbury’s a few months ago; and the Children’s Society have found that half of 11 to 13-year-olds are exposed to their parents’ money worries – with one in five missing out on their holidays this year, and a quarter experiencing a cut in their pocket money. However, while I wouldn’t want to understate the very real impact of our failing economy on ordinary families (never mind the poorest sections most likely to come into contact with social services) it is all too easy to get carried away with the insistent rhetoric about how bad things really are. According to Bob Reitemeier, the chief executive of the Children’s Society, children have become the “frontline victims of the recession”. Of course this isn’t true – their parents are on the “frontline” and they are not victims either. On the whole, they do the best for their kids and often in trying circumstances, are fighting in the very adult world of work to raise the resources to help make their childhood a good one. All of which makes the ill-founded and doom-laden pronouncements of the charity responsible for the hysterical A Good Childhood report, so hard to take. Reitemeier, for instance, using the recession as yet another opportunity to guilt trip the nation about the way it treats its children. He tells us (without the need for the kind of “evidence” demanded by the LGA), that “if we fail children now we are going to, as a society, suffer the consequences for generations to come”. If we are to have a grown-up discussion about doing the best for children now and in the future, and making sure that they have the kinds of lives we think they should lead, we need to get beyond this kind of thing. Despite the economic downturn, children’s lives – not least in the UK – have never been better. That much should be self-evident. That doesn’t mean that they can’t be made much better. For instance, by ensuring that the poorest families get the resources they need, and that all children have greater freedom to explore the world around them – not by blaming parents but by challenging the anxieties promoted by the child worriers in officialdom and beyond. That is why – as much as we need to balance the books – a return to first principles about the role of schools and of social services in children’s and families’ lives is so important. Left and right defined the 20th century. What’s next? Once upon a time, housing policy was about building houses. The NHS had something to do with treating the sick. Schools were places where we sent our children to be educated. Social care supported society’s most vulnerable members. And social security was about guaranteeing an income for those who had no other means. In the 21st century, they won’t be talking about decent housing anymore, but about decent behaviour and decent neighbourhoods. The sick, in a throwback to the morality of the workhouse, will be divided into the deserving and undeserving of treatment. And the education system will be more interested in the contents of children’s stomachs than their minds. Social services will finally come to the conclusion that we’re all vulnerable now. And the social security system will be deemed unsustainable and prone to “timebombs,” as the working population gets sicker and older by the day. Despite this, the authorities will continue to claim to be improving “outcomes” and promoting our “wellbeing” despite our refusal to be officially “happy.” And we in turn will be rendered mute by an impenetrably empty rhetoric generated by a vacuous managerial political culture devoid of anything that might engage those it reluctantly courts only when it absolutely has to. And yet everybody will be urged to become “active” citizens. Posted on March 22, 2007 Categories Public servicesLeave a comment on Left and right defined the 20th century. What’s next? At the moment, public services are little more than vehicles in the government’s civil renewal agenda. They are a new way to ’empower’ us all, the Minister for Communities, David Milliband, would have us believe. In this respect, a focus on the at least achievable task of improving the NHS, or starting over again in the case of comprehensive schools, would be very welcome. But there is no reason to believe that the private sector would necessarily be any more successful in achieving this. Throwing up our hands in despair at failing services is understandable. But I fail to see how adding yet more fragmentation and disjointment to that already inflicted by two decades of market reform will remedy the situation. And throwing out the welfare baby with the ideological bathwater of New Labour’s social inclusion agenda, is no answer either. 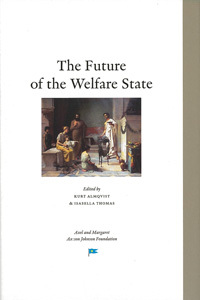 The set of values that the welfare state for all its faults once embodied helped secure an enduring collective engagement with the needs and aspirations of the public. As Margie Jaffe of Unison put it, its not that public services are too important to be left to the bureaucrats, but the reverse. Indeed, they are too important to leave to the vagaries of the market. State delivery of welfare not only has practical ends for the present, but is the outcome of battles fought by campaigners from the mid 19th century on. It represents a public recognition of the post-war settlement with regards the principles of income security, a decent education system, health service, housing provision, and social care for children and adults. Circumstances have changed beyond recognition since and rightly demand a rethink, but these modest gains have also been under threat. This is all the more reason why they should not be undermined lightly, but defended with the appropriate critical distance. Jaffe’s was the only comment, I might add, that kept me from dozing off as the other panellists, Tim Gosling of the IPPR; Ian Smith, CEO of General Healthcare and Matthew Hancock, Economic Adviser to the Shadow Chancellor – admirably chaired by the unflappable Edward Carr, Business Affairs Editor at The Economist – failed to come up with a single insightful comment between them. Back to ‘engagement’. This is the only game in town as far as the social policy wonks are concerned, but it apparently passed our esteemed speakers by. Indeed, the patronising attempts by government to connect with people as individuals even when they are supposedly promoting community, suggests that ‘privatisation’ has been with us for some time. By putting GP surgeries in supermarkets and insisting that parents spend more time attending to their children’s schooling (see the recent health and education white papers, respectively) the attempt to shift the ‘rights and responsibilities’ to public services into the private spheres of individual, family and community, is intensifying.